KCCA FC defeated Nyamityobora 4-0 on Tuesday afternoon to reach the Super 8 finals. In the match played at the Startimes stadium, Patrick Kaddu grabbed a first half brace plus two second half goals by Allan Okello and Lawrance Bukenya sealed a comfortable victory for Mike Mutebi’s Kasasiro Boys. KCCA pushed from the on set as Patrick Kaddu headed over a Mustapha Kizza cross inside the first minute of the game. 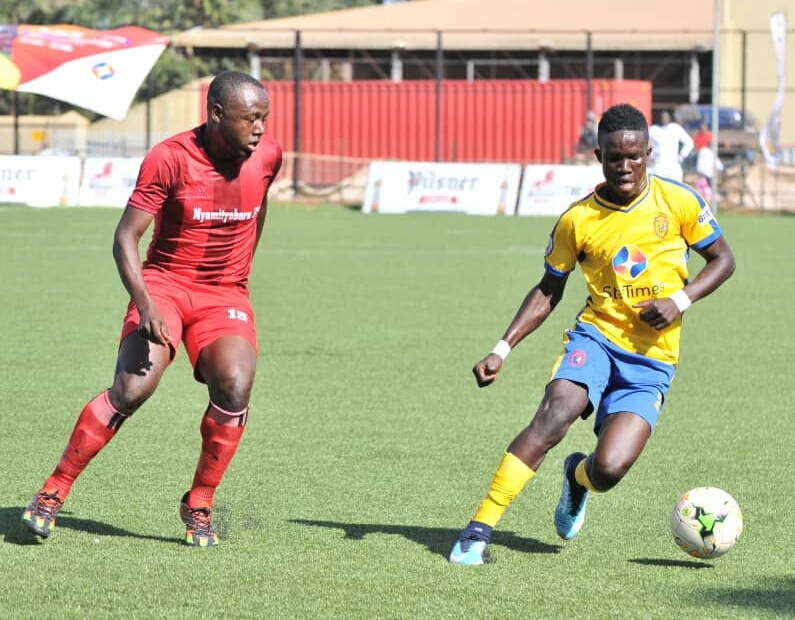 Nyamityobora’s first sight of the KCCA goal came on five minutes when right back Misi Katende sent in a free-kick from the right but Tom Ikara in the Kasasiro Boys’ goal was deemed to have been fouled following a goal mouth scramble. 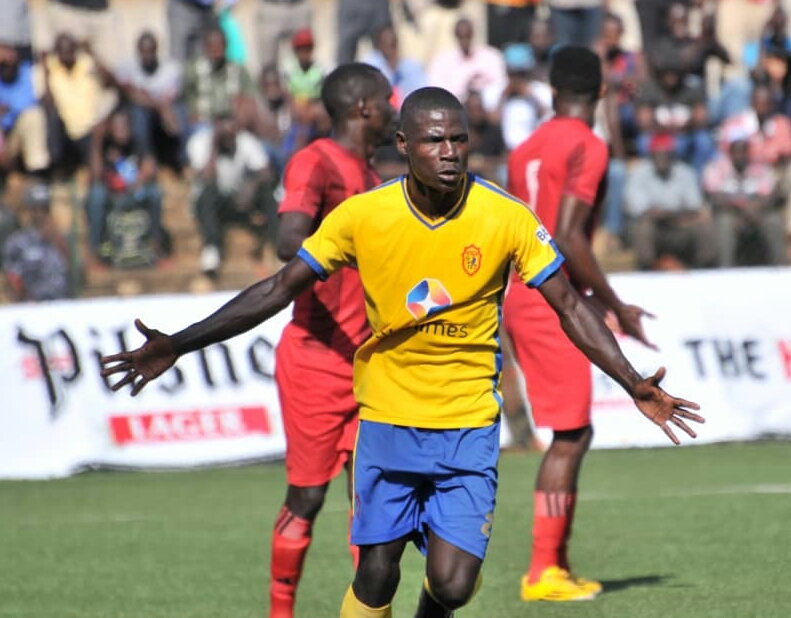 Apart from the scramble, Nyamityobora rarely attacked KCCA’s goal and they were soon on the back foot but Allan Okello failed to control Hassan Musana’s pin point long range pass inside the area, with only the keeper to beat. The pressure started mounting on Nyamityobora’s goal and they had goalkeeper Franko Oringa to thank as he parried over Kaddu’s stinging shot off the turn following a defensive mix up. The visitors’ best chance of the half came on 16 minutes when a fine inter-play between their forwards resulted into Moses Ndawula finding him self one on one with Ikara but his weak effort was saved comfortably by the former Kirinya JSS custodian. The first goal of the game came on 25 minutes when Kaddu robbed Oringa of the ball outside the custodian’s penalty area and struck home in an empty net to make it 1-0 to the Kasasiro Boys. Five minutes later it was 2-0. This time Kaddu finished superbly after Jackson Nunda had danced his way into Nyamityobora’s penalty area and feed Julius Poloto who teed up Kaddu to slot in low while one on one with Oringa. The game then slowed down towards the half time break and Mustapha Kizza’s 39th minute free-kick which was saved low by Oringa was the only notable action as KCCA looked contented to go in the break with a two goal caution. Sluggish defending by the away side continued in the second half and they had only Okello to thank when he shot wide after robbing Calvin Barni near the penalty area on 48 minutes. The away side was made to pay eventually on 54 minutes as Okello finally found the back of the net following good work by Kizza who teed him up for a tap in after Joseph Othieno had gifted the ball to KCCA following a weak clearance. Nyimityobora failed to create anything meaningful in the second half apart from substitute John Wesley Kisakye’s three tame efforts struck straight at Ikara. With four minutes to play, substitutes Muwadda Mawejje and Lawrance Bukenya combined with the later slotting in from close range for KCCA’s fourth on the day. Patrick Kaddu was named man of the match and handed a cash prize of 150,000 that comes with the tag. KCCA will now wait on the game between Onduparaka and SC Villa that will be played on Saturday, to know who their opponents will be in the final. Tom Ikara (GK), Filbert Obenchan, Timothy Awanyi (c), Hassan Musana, Julius Poloto, Mustapha Kizza, Saddam Juma, Muzamir Mutyaba, Allan Okello, Jackson Nunda and Patrick Kaddu. Franko Oringa (GK), Misi Katende, Alex Komakech (c), Calvin Barni, Ivan Mbowa, Bruhan Matovu, Charles Ssebutinde, David Kizza, Moses Ndawula, Lamech Ebong, Joseph Othieno.